To foster financial literacy, we regularly feature discussions on common terms and concepts used in personal finance and investing. Here’s a Q&A with Marc Amateis on the risk that currency issues can play in foreign investments. It is the possibility that foreign currency exchange rates could affect returns on foreign investments. When you own a foreign bond or a foreign stock, the interest payments on that foreign bond or the profits from that foreign stock have to be converted to U.S. dollars from whatever currency that investment is in. You run the potential risk that the interest or profits are worth less when converted to U.S. dollars. It can also work the other way. There’s currency risk. There’s also currency reward. Say a U.S. mutual fund you own includes an Australian bond. The interest payments on that Australian bond are paid in Australian dollars and because you’re in the U.S., those Australian dollars have to be converted to U.S. dollars. Well, if the U.S. dollar strengthens vs. the Australian dollar, making the U.S. dollar more expensive, those interest payments are going to buy fewer U.S. dollars. That can hurt your overall return. Conversely, if the dollar weakens vs. the Australian dollar, you get a boost in performance. Not only do you get the yield on the bond, but those interest payments are buying more U.S. dollars. So it’s just a matter of whether the dollar is strong or weak? It depends on what currency the foreign investment is in. When you talk about the strength of a currency, whether it’s the dollar or the Japanese yen, you always have to understand that you’re referring to it vs. another currency. You can’t just say, “The U.S. dollar strengthened,” because it may have strengthened vs. the euro, it may have strengthened vs. the British pound, but it may have weakened against the yen. Normally, when you hear people talking about dollar strength or weakness, they’re either talking about it in terms of vs. the euro or maybe vs. the yen or maybe vs. a basket of currencies. But to just say that one currency strengthened or another currency weakened really is not accurate. How should currency risk figure into the consideration of an investment? It’s a risk that’s independent of the value of the investment. You could have a great overseas company doing very well, making tons of money and has an outstanding return in the home currency, but you could realize a much lower return based on the currency issue. The same is true with an overseas bond. When it comes to investing in foreign bonds or foreign stocks or any investment that’s denominated in a different currency other than U.S. dollars, you have to be aware that you have this issue. You could potentially have a foreign bond that yields 5%, but after converting the currency, you earn nothing from it because of the exchange rate. You could own a foreign stock that maybe in its home currency returned 10% last year, but because you’re using U.S. dollars, you realize a 5% return. Currency Matters – Marc Amateis explains the importance of currency markets in the world of investing. 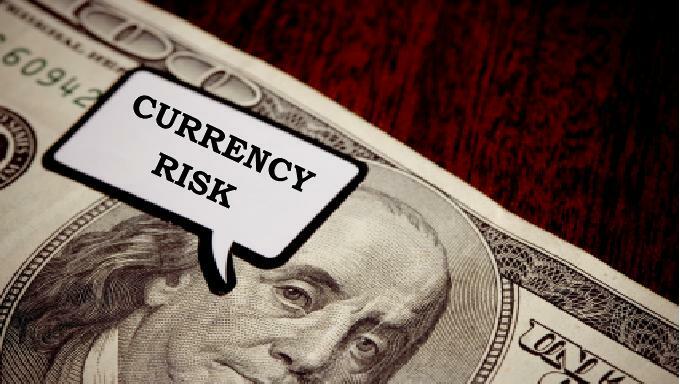 Why would currency risk be worth taking? It’s very hard to predict currency movements. But like anything else when it comes to investing, the more diversified you are, the more you lower your overall portfolio volatility. As part of a well-diversified portfolio, you need to have investments that are denominated in other currencies. You also need to know what you own. Some mutual funds use “hedging” strategies to reduce or eliminate currency risk. But that defeats the purpose, if you’re looking for non-dollar currency exposure for diversification. You want to have investments that can offset potential currency issues. If you were totally invested in the dollar, and the dollar weakened against most currencies, that would dramatically affect your overall investments in overseas holdings. It’s risk, but it’s also potential reward. That means there’s also a big risk in having all your money in U.S. dollars. The idea is that you invest in foreign bonds and foreign stocks – in foreign currencies – because through diversification, you reduce overall volatility and overall risk. Again, understanding your investments can give you a better picture of how your portfolio is balanced and how the diversity of your holdings can minimize risk in the long run.